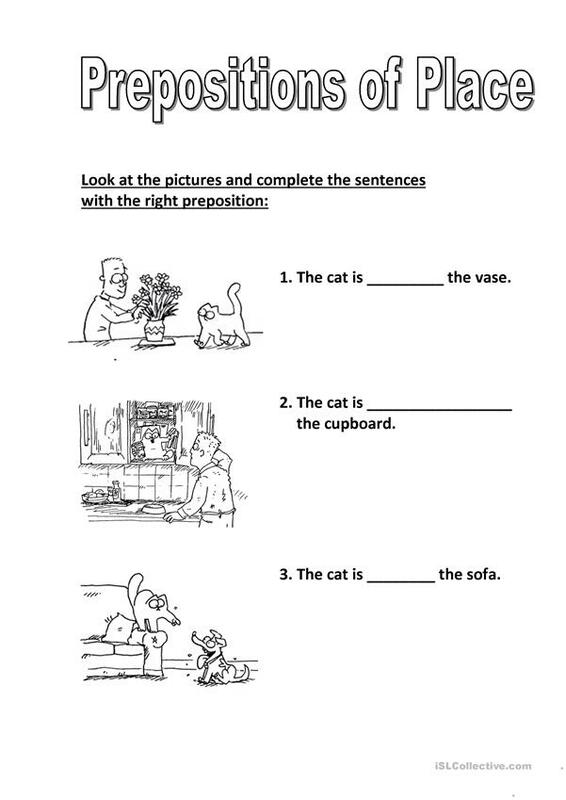 The students look at the pictures and complete the sentences with the right preposition. 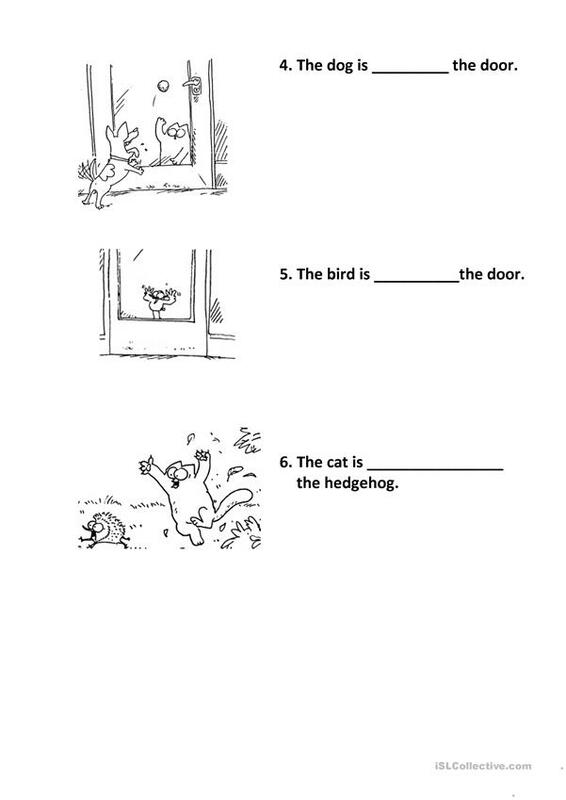 This printable, downloadable handout is recommended for elementary school students at Elementary (A1) level. It is aimed at practising Prepositions and Prepositions of place in English, and was designed for strengthening your pupils' Speaking and Reading skills.